My old time favourite, even have it on iPad! I remember playing this game a lot but I can't remember whether I beat it or not. It was definitely one of my favorites. I am going to try and beat this now. This game is hard as hell and I never cease to be frustrated by it, particularly since I have yet to get past the 3rd or 4th level. However, it's a brilliant game and truly so much fun to play. Keeps me coming back for more. And it really was breathtaking at the time it came out. Had never seen anything like it for home consoles. 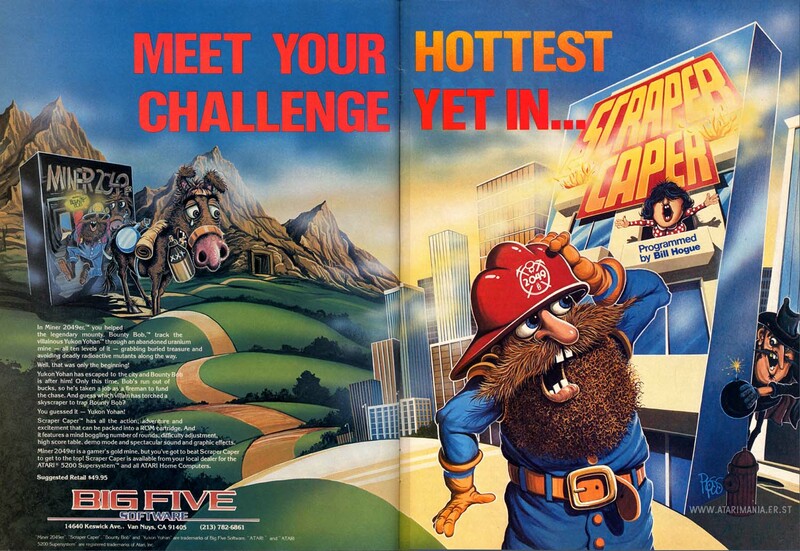 I remember spending my lawn-mowing money on the 2600 version. IT WAS UNPLAYABLE. Then I got it for the 800 xl, and WOO HOO! what a difference. I gave this a '9'. Great fun. Man, this game was brutal. I think it took me a solid week to beat it. Sadistic level design, but always fun. 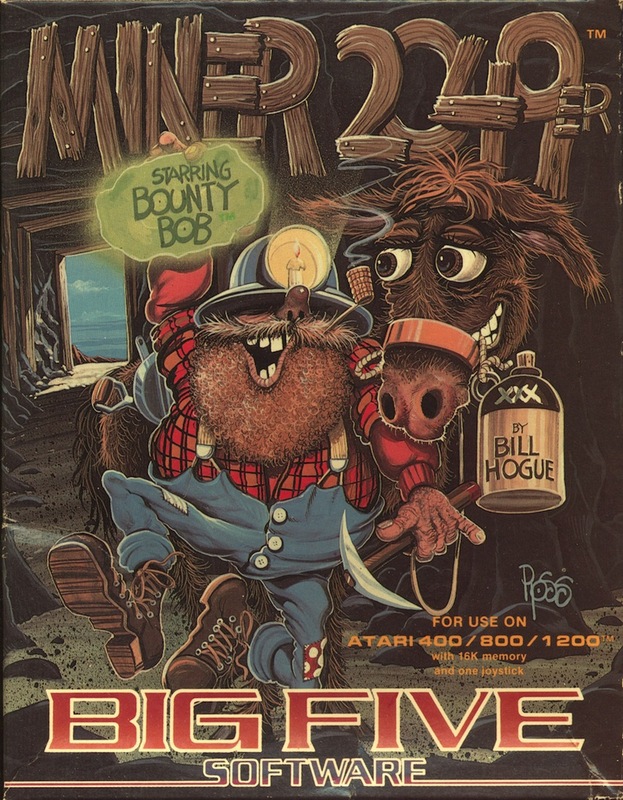 Don't bother with the sequel, Bounty Bob Strikes Back. It's about 10 times tougher and nowhere near as fun, in my opinion. 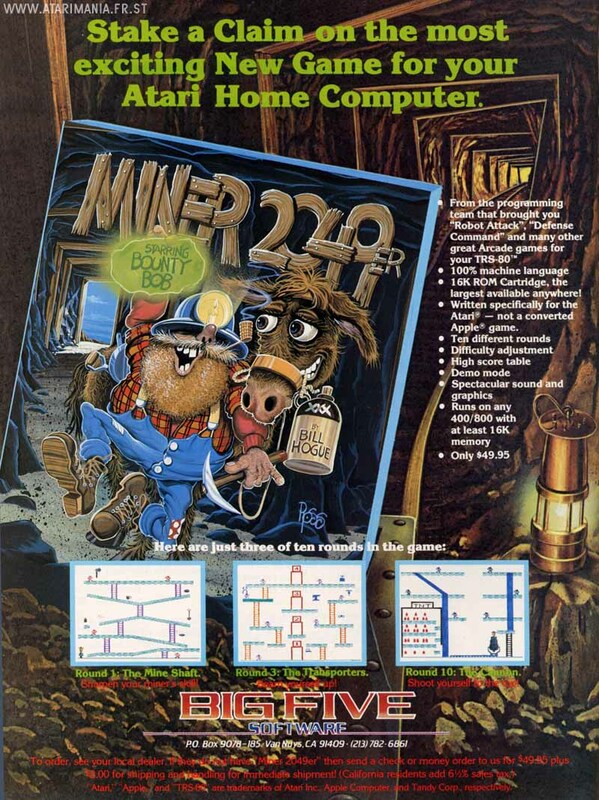 Miner 2049er is a classic platformer programmed with great quality. 9 out of 10 score from me. This is the game that I used to play all night long without any clause of fatigue but of course my mom's insistence on my sleep time. Cause I was just 8 years old. Besides this is the only game that I could complete! Lots of fun, totally entertaining. one of only 2 games i played all night on the day of buying, the other being Donkey Kong. i normally bought my games on a Saturday morning and this game was so addictive i got home from shopping, plugged the cart in and was still playing it when the sun came up on the Sunday morning. Very fun, frustrating but beatable. My sister loved to play also even though she could barely get anywhere. I think I spent days trying to figure out how the elevators worked (had the cart and no manual.) One of my earliest big "DUH" moments. I beat it a couple times but it takes practice and a good joystick. I remember making up a song as a kid: "Radioactive Waste" for the giant pool of it in this game. Later in life I realized I had unintentionally parodied "When Doves Cry". Or maybe it was just a coincidence? 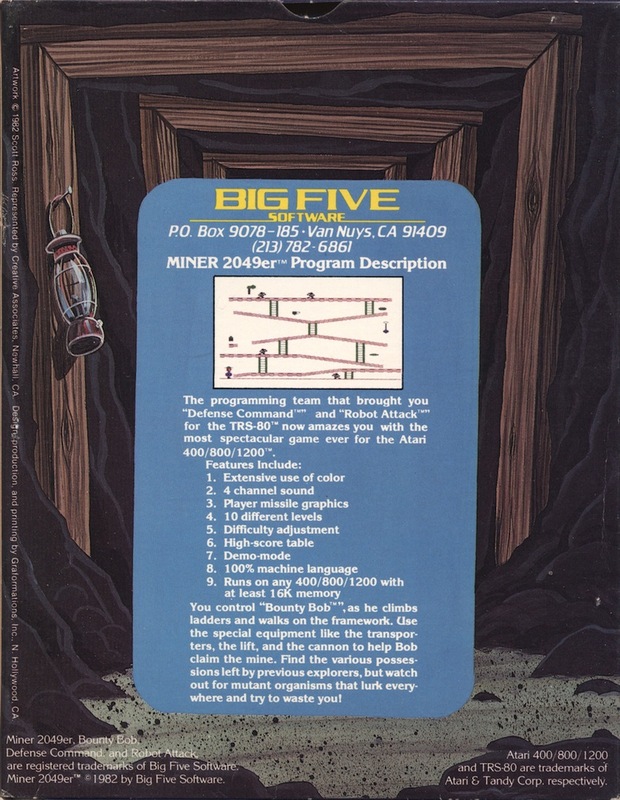 I remember playing extensively in the 80's--I had gotten to the point where I could play a LONG time, and would arrive at a level (cannot remember now, but it was the 3rd or 4th time through all levels) where it was absolutely impossible to do the maneuver needed to continue. I wrote the company but they never were able to give me any answer. Anyone else encounter this? Type digits 2137826861 (the company's phone number), press SHIFT and the level number you wish to play.